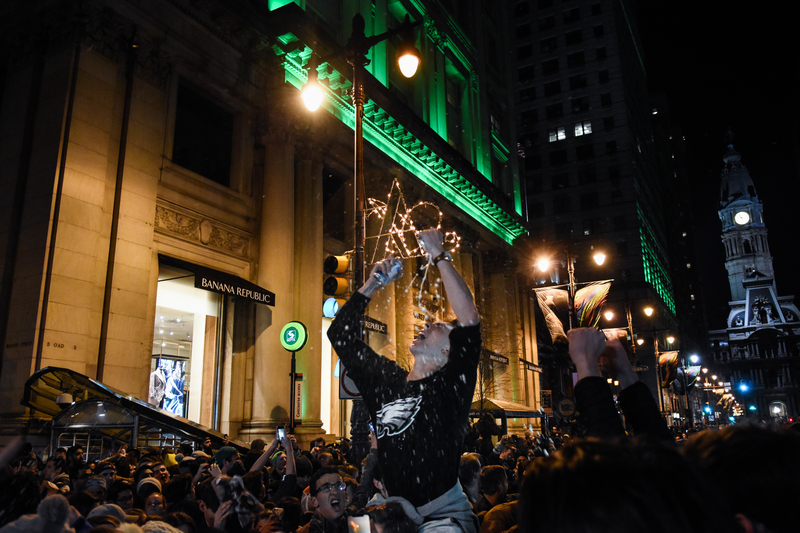 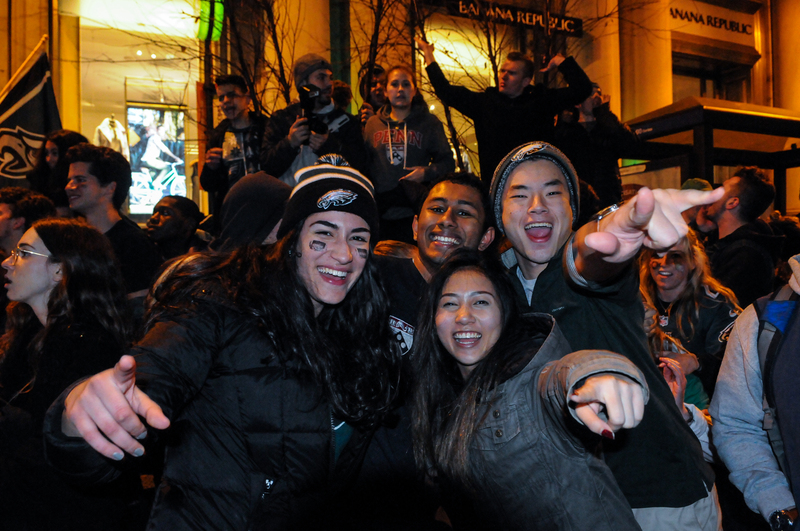 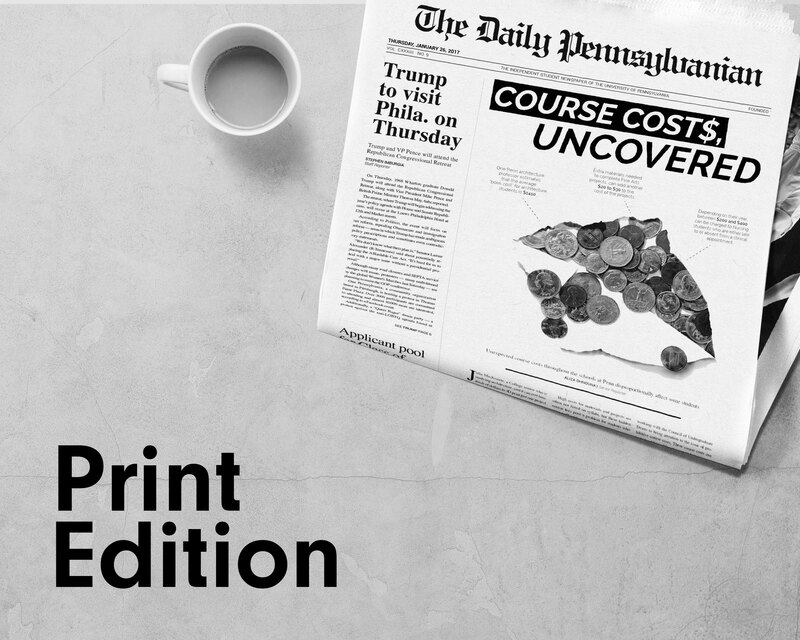 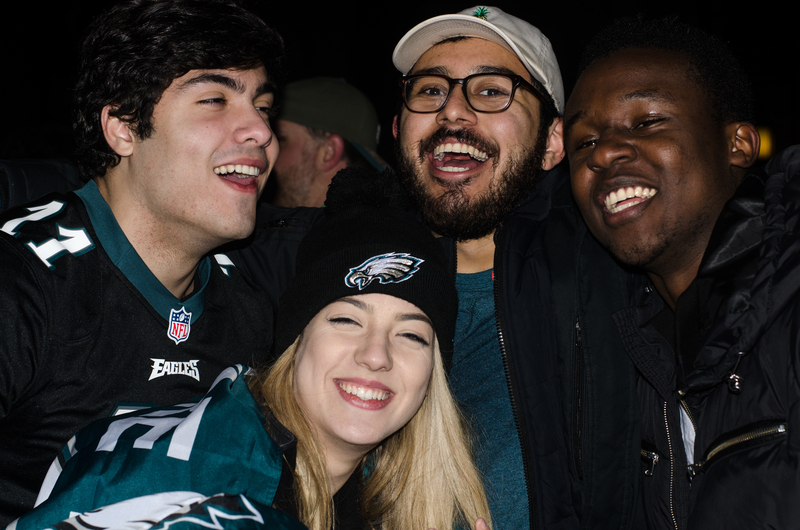 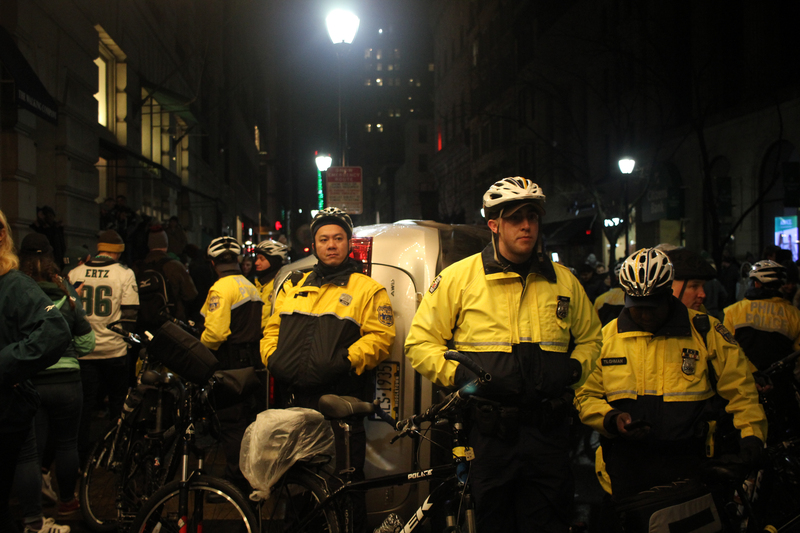 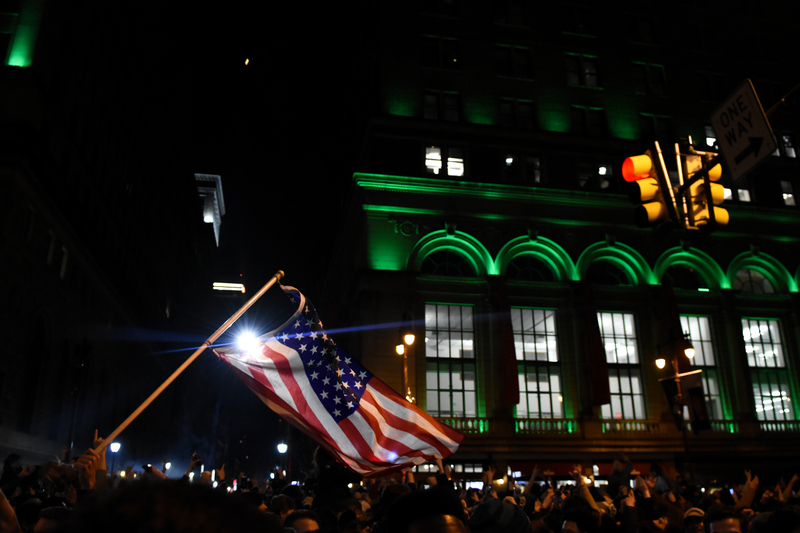 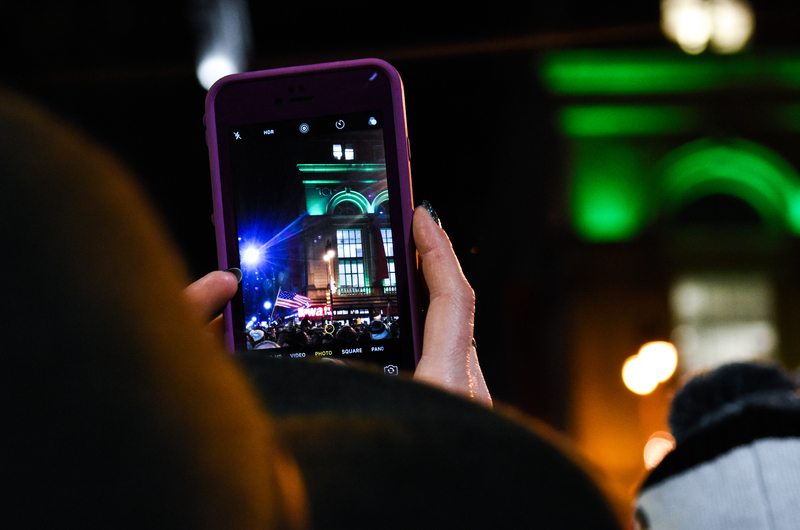 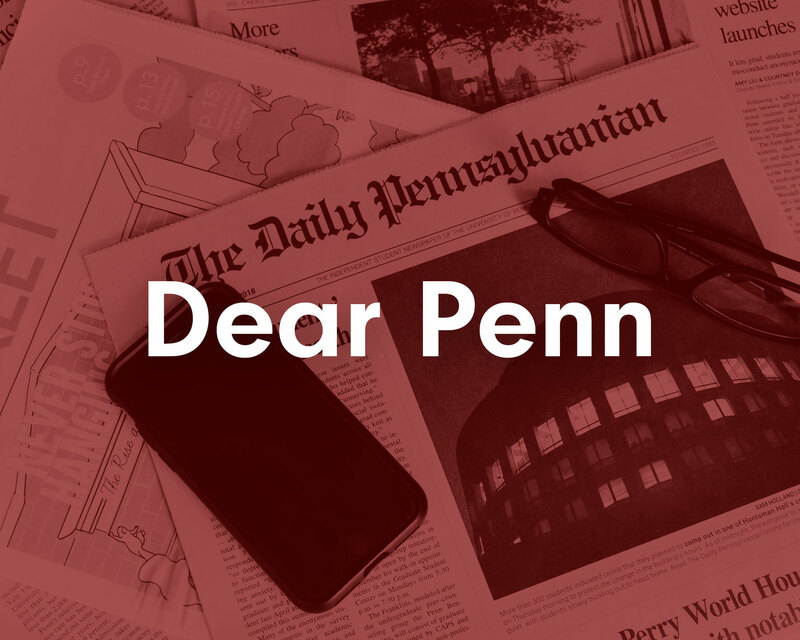 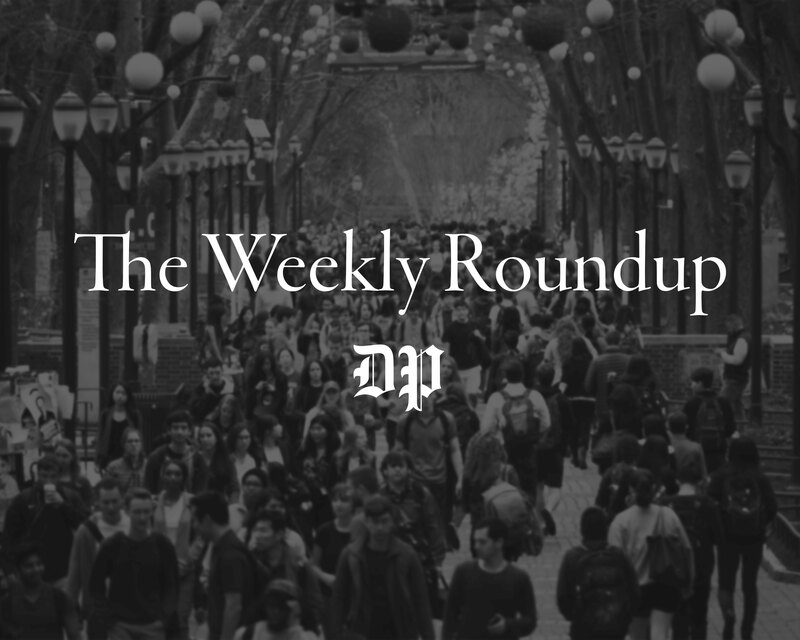 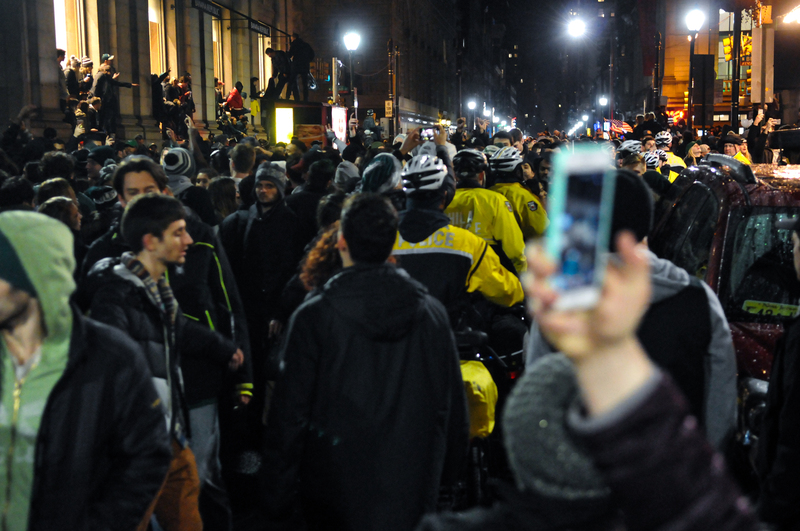 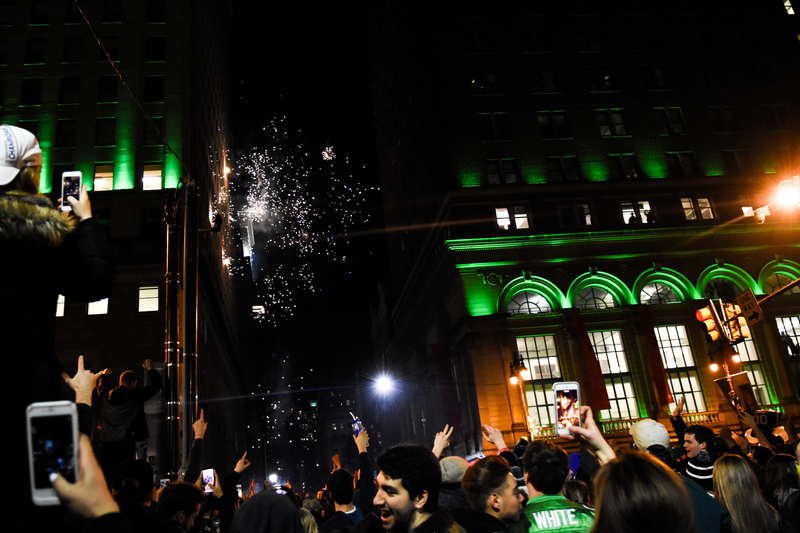 Following the Eagles' Super Bowl victory Sunday night, Center City transformed into a sea of chaos as residents of Philadelphia stormed the streets in celebration. 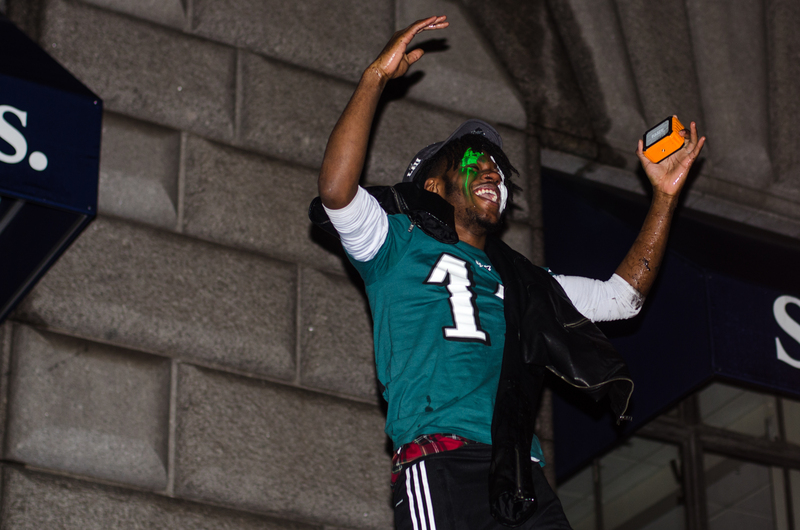 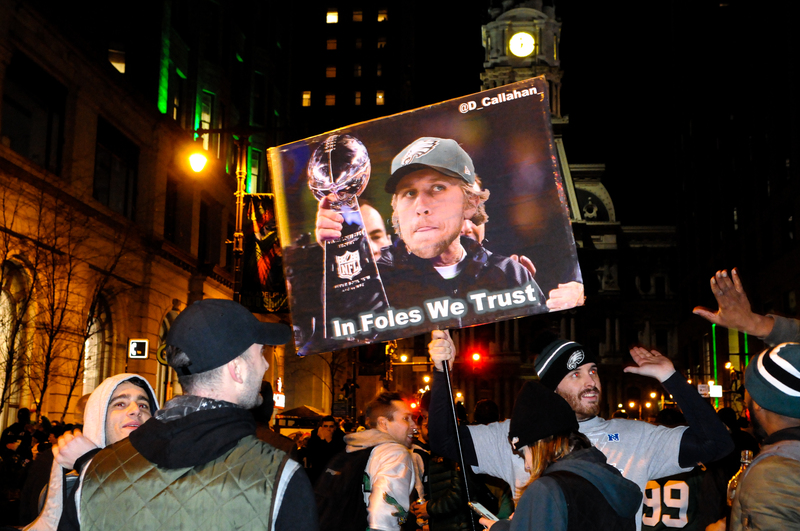 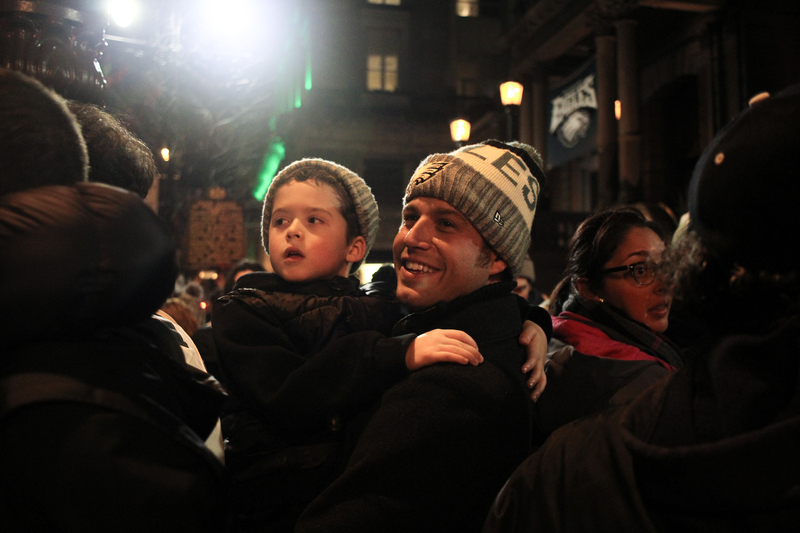 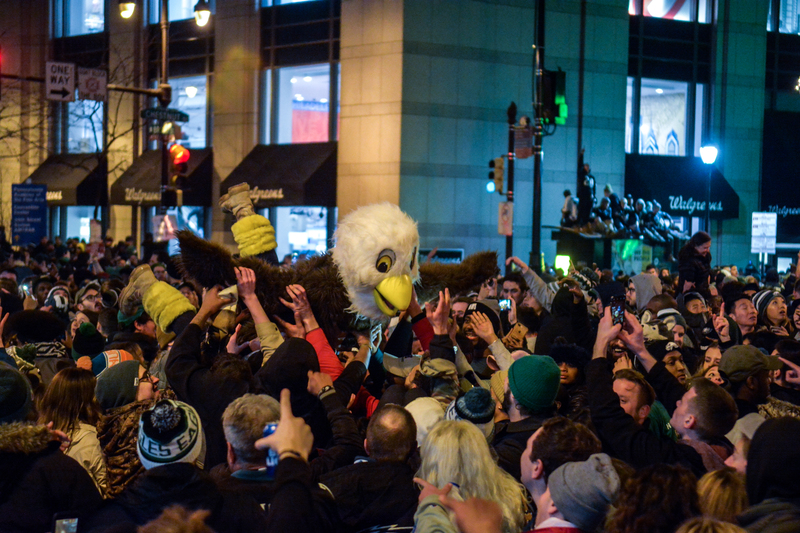 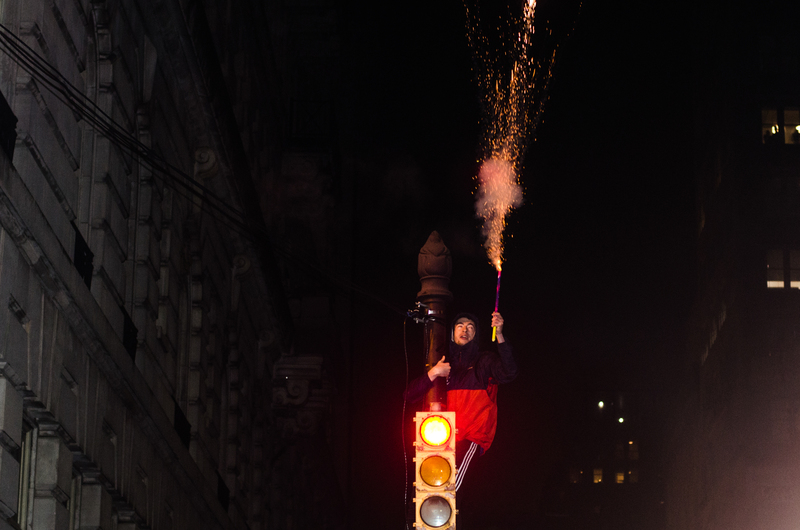 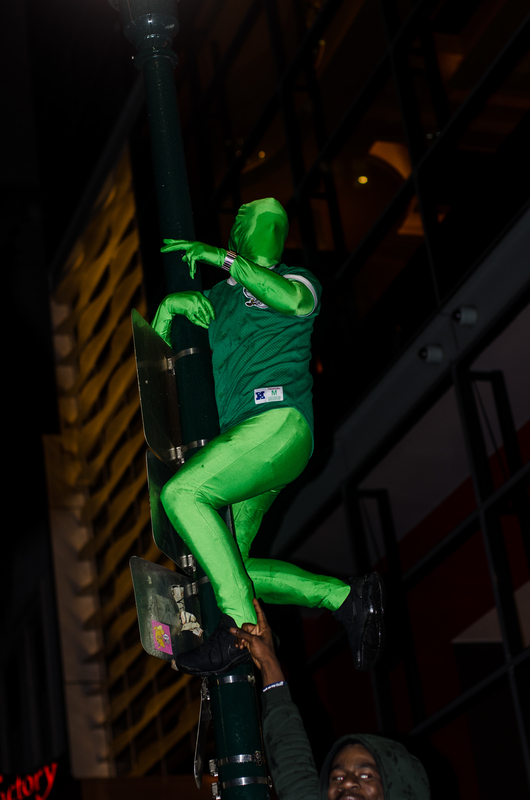 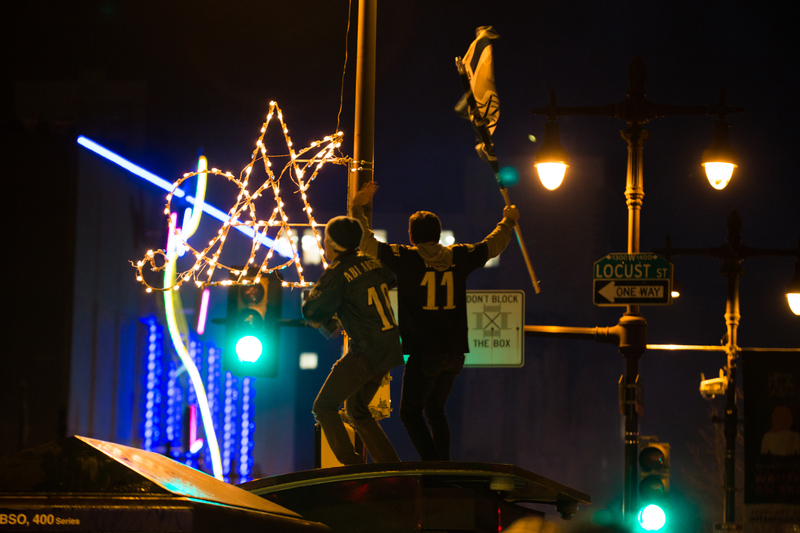 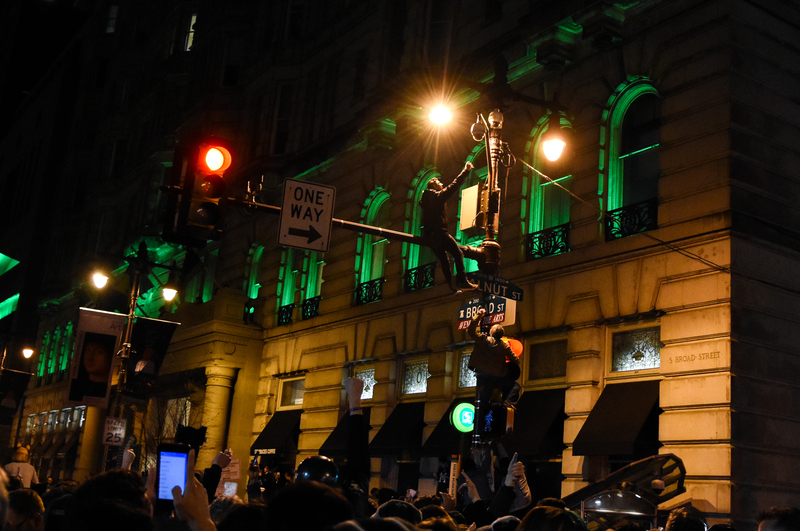 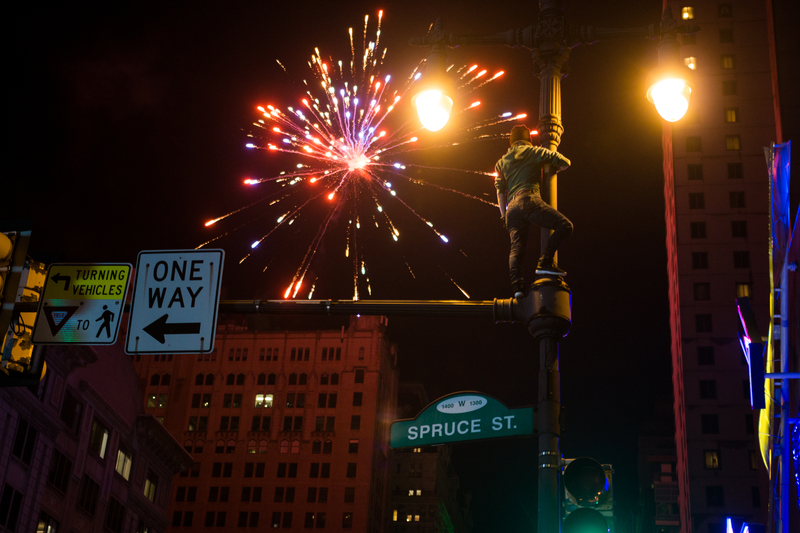 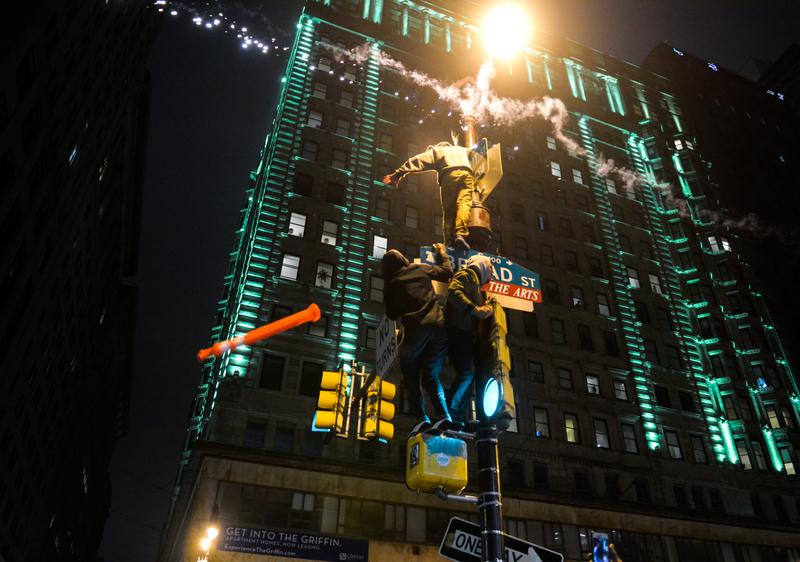 People danced on cars, honked their horns, climbed up lampposts, launched fireworks, and screamed "Go Birds!" 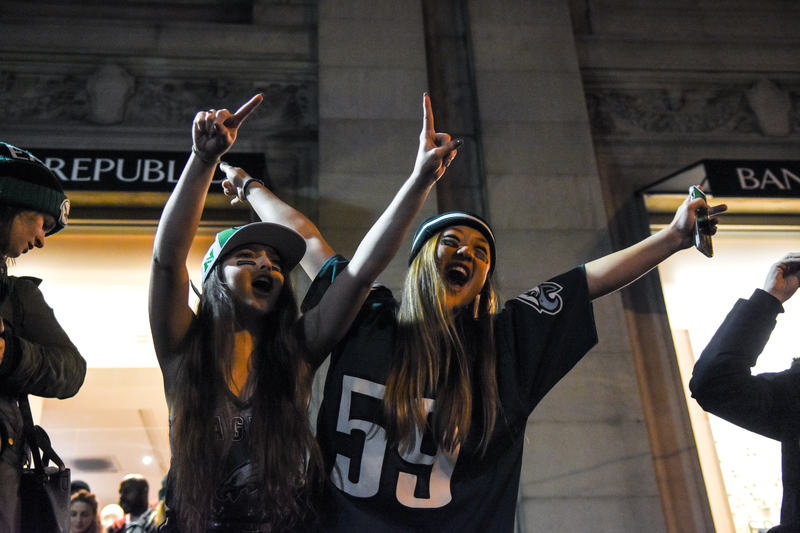 It was the Eagles' first Super Bowl victory ever. 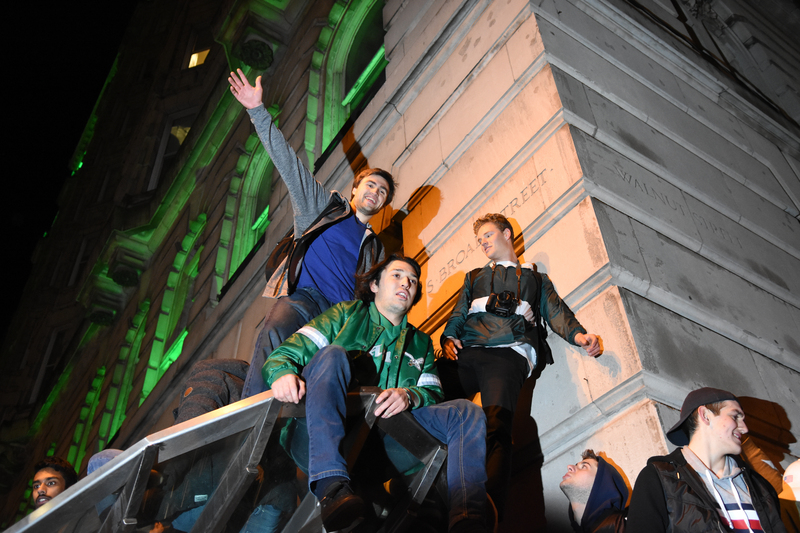 Photos by Sam Holland, Joy Lee, Zach Sheldon, Carson Kahoe, Mona Lee, Julio Sosa, and Pranay Vemulamada.